One good thing here in Singapore is that breakfast fare are available all day. Ever since moving to Singapore, I learned to love a good ol' toast sandwich. You can find the staple kaya toast sandwiches everywhere in Singapore. Eating kaya toast or sweet toasts all day everyday can tire out your palate, so unique flavored sandwiches are a warm welcome to foodies like me. Eggstop is a quaint store that mainly sell thick sandwiches with savory fillings. Their menu is not as extensive as other stores, but that's the beauty of it. If you are tired of eating sugar-filled sanwiches, Eggstop got you covered for they mainly serve savory sandwiches. They opened a small store in Paya Lebar Square. They currently have 6 sandwiches that you can try namely, Beef Teriyaki, Turkey Bacon and Cheese, Chicken Ham and Cheese, Spicy Corn and Cheese, Smoked Chicken and Classic Tuna. My old foodie self (without the dairy restriction) would have ordered everything in the menu and tried them for you guys. For now, I ordered two for us to try. I ordered the Beef Teriyaki (lesser evil) and the Chicken Ham and Cheese. The sandwich consists of thin beef slices with their signature sauce nesting in two soft thick slices of bread, topped with an egg yolk. I asked the staff to remove the yolk. The sandwich is savoringly delicious! It is like a teriyaki gyudon in a sandwich. The price is a little bit reasonable given that there is generous amount of beef. Overall, $6 for a sandwich for me is a bit steep, it'll be considered an indulgence. The sandwich consists of a chicken ham slice, cheese, scrambled eggs and their signature sauce. This one is for my husband, and he told me he liked it. I did took a little bite (sorry Daxton!) and it tastes like your favorite ham and cheese sandwich. It is quite basic yet filling. The price is also a bit steep for a basic sandwich. Flavor-wise, it can be a good grub for hungry people. Eggstop is a sandwich store that sells good savory sandwiches. Their prices are a bit higher than a normal sandwich, which compensates for the depth of flavor and taste. I wouldn't mind buyimg another sandwich from them if I am hungry and wanted a filling snack. Good News! They recently opened a new store in Chinatown. If you are a tourist visiting the Chinatown area, you can try this one out. I bet it is a good snack to bring while strolling around the area. This is not a paid/sponsored post. All information present here are based on the author's views and opinion. What is your favorite sandwich? Let's hear them in the comments below. Where to go this Chinese New Year Holiday? Here in Singapore, Chinese New Year is a big holiday celebrated island-wide. It is usually a 2 day holiday or even a week long holiday for most of our friends with traditional Chinese roots. So, what are your plans this Chinese New Year holiday? I will share with you some ideas I have in mind. Most people have it already planned when it was released that it'll be a 2 day holiday. You see, February 5 and 6 2019 were declared a holiday, which falls on a Tuesday and Wednesday. If you are a budget traveller (or a wise one), you'll be filing your leave to maximize the whole week, which will give you a 9-day holiday (Feb 2-10). It'll just cost you 3 paid leaves to enjoy the 9 day holiday. YAY!! So, where can you go on a 9-day holiday? This is the best time to check off some places on your bucket list. If you have saved up and ready to go, there's the US, UK, Europe and Japan trip just to name some. But for us, budget travellers, these trips need more in depth planning and saving up to do, so they are still out of the picture (maybe someday). I have taken into consideration that most places with a strong Chinese community will probably be on a holiday as well, so most establishments will be closed. Hongkong, Taiwan, Singapore, and most of China for example. Here in Singapore, most hawker places and restaurants are closed for days due to the holiday. Johor Bahru is a popular place for Singaporeans to go. It is near and accessible by a highway. A trip down there calls for an enjoyable road trip. A word of caution, the highway can get clogged up, especially during the weekends. The influx of people crossing the border, undergoing two immigration stops, you can expect a bit of waiting time to cross. 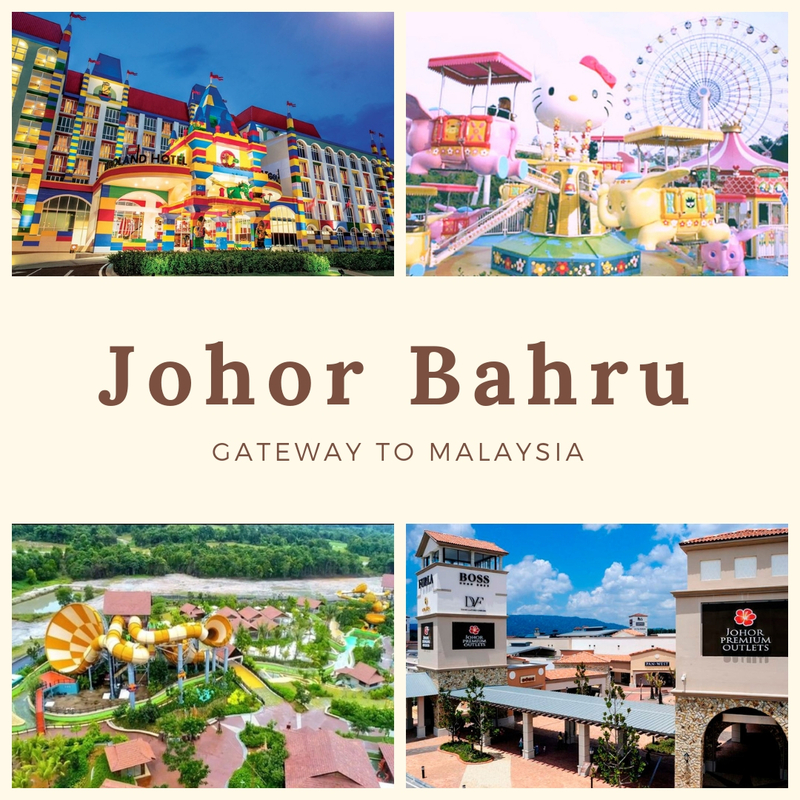 Some things you can enjoy in Johor Bahru are Legoland Malaysia, Sanrio Hello Kitty Town and the newly opened Desaru Coast Waterpark. If waterparks and theme parks are not your thing, fret not because you can also enjoy shopping at Johor Bahru's outlet stores and eat your way along Johor. Batam is also just a stone throw away from Singapore. You can easily drop by Batam via ferry. Batam is known for a place to unwind and relax for hey have beaches, rich food culture and best affordable spas. Your Singaporean Dollars have better purchasing power versus the Indonesian Rupee. Most Singaporean escape to Batam for spa excursions, food tripping and a bit of shopping. Same as Batam, Bintan is also near Singapore, just a ferry ride away. Bintan is a bit further down Batam. Bintan is known as a beach haven for they have nice beaches and resorts. Bintan is a bit pricey than Batam because they are more detached to the city. You are looking for more of an island vibe, Bintan is the way to go. We have been to Bintan Lagoon and I must say we enjoyed our stay there. It was a great way to unwind and chill after a weeklong city hustle. If you are in no mood to get out of Singapore, there are a lot of places you can check out in the island. There are a lot of celebrations island-wide that you can join in. Just be informed that most places to eat and stores are closed for days here. What are your plans this Chinese New Year Holiday?